Minimum order of $20.00 required. Orders are available for local pick-up or shipping via USPS. Shipping charges are based on delivery to bordering states (VA, DE, PA, NJ). Orders shipping to other states must pay actual shipping charges. PayPal, Visa, MasterCard, American Express, Discover, money orders, cashier checks or personal checks accepted. (Items will ship once personal check clears; usually within 3 business days.) To order with your credit card, go to Checkout/Pay without a PayPal Account (PayPal guest checkout) and enter your credit card information. Refunds given in the event of merchandise defect only. Now for the recreational crabber! 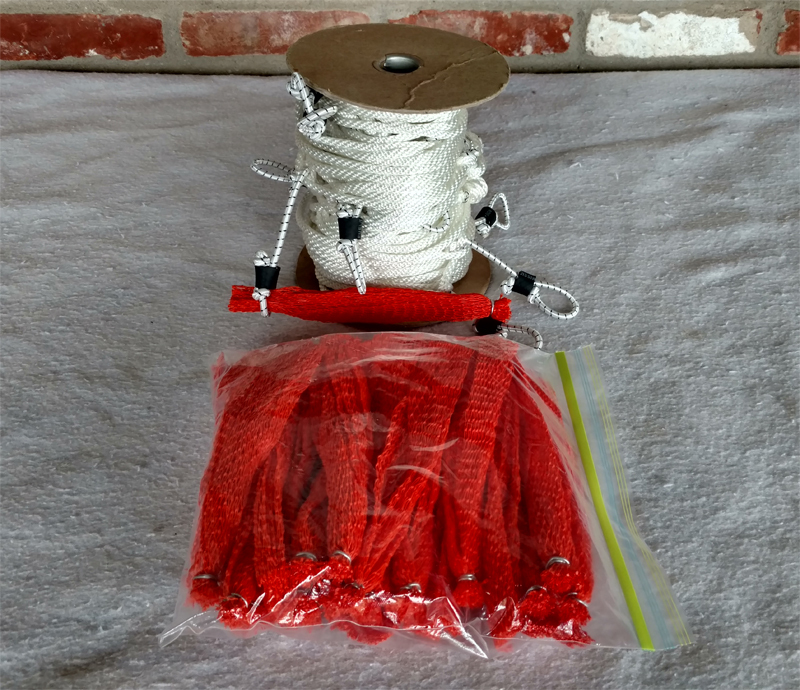 Captain Bruce has been making custom made clam bag snood lines for commercial crabbers for years. Now he is offering these same lines for the recreational crabber. 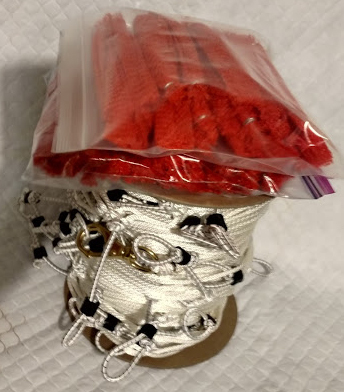 Every snooded clam line is made using "sinking line," 3/16 inch snoods with 10' spacing* and swivel brass snaps on each end, and includes heavy duty clam bags for each line. Now you can use razor clams or any bait you want to catch crabs. Just chunk up the bait of choice and put it in the bait bag and attach the open end of the bag in the snood on the snood line and put it tight. The crabs will eat the bait through the mesh bag. *Razor clam baits are spaced 10' apart because that spacing produces more scent and disperses the scent attracting crabs from further distances than other baits. We also use 2-3 razor clams per bag to limit the amount of weight attached to the snood line because if the weight of the bait is too heavy, it will effect the way the line performs. Read about my razor clam bait vs. chicken bait test here.